The Jeep Wrangler will be getting the “special” treatment over its final year in JK form, with several named editions to be issued, according to Automotive News’ Larry Vellequette. The Wrangler JL is due in late 2017, as a 2018 model. Automotive News believes the current JK series will end in September 2017, but one Allpar source believes the JK and JL will overlap for the 2018 model year. 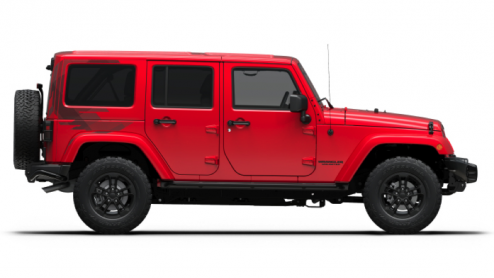 According to the industry weekly, dealers have already been told about the 2017 Wrangler Sport Freedom and Sahara Winter editions, with sales starting in December. Oddly, the Freedom will only last until February, while Winter will continue through May. The Sport Freedom comes with a star motif on the hood and fenders, an American flag decal on one fender, and other badging; 18-inch Sahara wheels, a new rear differential cover, black fuel door cover, and taillamp guards, for $30,690 (add $3,900 for the four door) including destination. The Sahara Winter has the LED headlamps and fog lamps introduced this year, along with remote start (automatic only), rock rails, hard top, and numerous decals, badges, and accents. The two door starts at $37,440 with the four door adding $3,800. 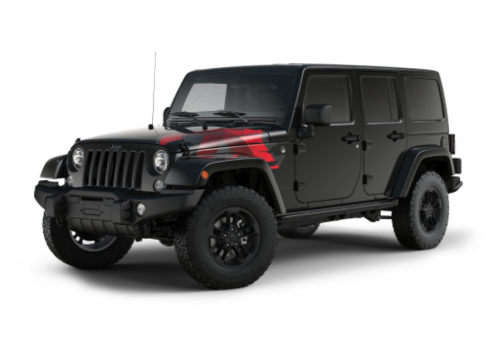 Automotive News claimed that other special editions would include the Sport Big Bear, Sahara Chief, Sahara Smoky Mountain, and Rubicon Recon (replacing the Hard Rock in February). The replacement for the current Wrangler, in production for around a decade, will have an optional eight-speed automatic, which should help both acceleration and economy. It’s set to be built in Toledo, in the plant that currently makes the Cherokee; the current Toledo Wrangler plant may also be used after a refit. The Cherokee will move to Belvidere, Illinois, next month, with the Dart already gone and the current Compass/Patriot slated to be stopped. The next generation of the iconic off-roader will be the 2018 Jeep Wrangler “JL,” debuting in 2017, followed after about a year by a pickup. Buyers can expect eight-speed automatics and hopefully six-speed manuals; gasoline Jeeps will get the second-generation eight-speed made by Chrysler (850RE), while diesels will get the “pure” ZF 8HP75. Jeep reportedly tried an independent suspension for Wrangler, based on the 1963 Jeep Wagoneer or the Ram 4×4, but Larry Vellequette of Automotive News wrote on February 15, 2015, that they would stick with floating solid axles (one insider said they would change the configuration somewhat). This will help Mopar and the aftermarket to keep selling modifications, and make it easier to keep the ground clearance high. The Wrangler was allegedly to switch to an aluminum tub and use a tough hydroformed steel frame, but then, in May 2015, Sergio Marchionne said, I think we can do almost as well without doing it all-aluminum.” The Wrangler will likely follow Ram in using a strong hydroformed frame. Changing the basic design of the top of the Wrangler could save even more weight. Cars without tops, such as convertibles and roadsters, need heavy bolstering, and the Wrangler is built to withstand abuse. This and possible new safety rules may have led engineers to replace the “safety bar” with stronger tubes over the top and reduce lower-body reinforcement. Weight remains the biggest factor in city mileage. Jeep could then also do a fixed-roof version with relatively little re-engineering and retooling. This does not necessarily mean there will be no soft top, no removable doors, or even no fold-down windshield, though the latter may be difficult to justify. Indeed, another Allpar source reported that there would now be four roof setups: hard + soft (over the front), non-removable hard, an update of the current Freedom Top™, and a complete soft top. The appearance of the Wrangler is not likely to change much, other the “roof replacement” structure, and aerodynamic improvements may be brought about mostly by changes in the windshield angle, side mirrors, and underbody covers. Many expect Jeep to finally issue a U.S. diesel version of the Wrangler, and a limited production pickup version (Gladiator? Comanche?). A diesel could still provide a serious boost in both city and highway fuel efficiency while pleasing hard-core off-roaders (thanks to its low-end torque), and it’s likely that the company will attempt to do a light-hybrid version a year or two after the main launch. Standard American engines would likely be a V6 — by then, upgraded with more power and efficiency — and possibly the upcoming Hurricane Four. Europe will continue to get a diesel. Most expect Jeep to make the Wrangler more aerodynamic, with a slightly larger slant to the windshield. The fold-down windshield may be dropped; it is unique for Jeep in North America, but few seem to care about it. Removable doors are likely to remain. Allpar sources generally agree that there will be a new Dana axle, with a larger bolt pattern (going from 10 to 12); the Dana 44 bolt pattern did not change even when they increased the ring gear size and pinion for the current JK. The 44 has been used for many years, and advances in the state of the art may have led to a major upgrade for economy and off-road performance alike. A new patent application shows a unique full folding back glass design. The Jeep Wrangler is used for the illustrations. The current Wrangler has a tailgate/spare tire that swing sideways, then the backglass can open upwards. The patent application is different in that the backglass folds all of the way up to the roof, with clips built into the roof so it can be pinned down and left all the way open. There are clips inside, to hold the struts after they are disconnected from the backglass (so it can reach the roof). Driving with rear glass open could cause exhaust fumes in the cabin, and can also draw in mud when used off-road. Still, there are people who would like to be able to keep the backglass of their Jeep Wrangler open while driving with the top on, so the next generation Wrangler may include this as an optional package. It could also just be a patent to cover research and development on something that will never get used. 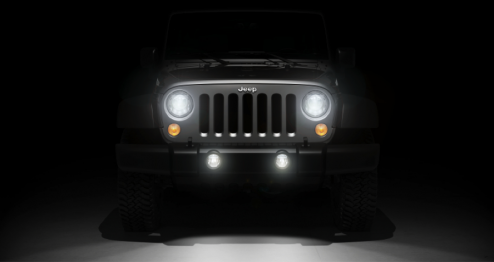 The report states that the Wrangler will keep its solid front and rear axles when the vehicle is redesigned for the 2017 model year. That will have true believers breathing a sigh of relief, as Jeep had already ditched the solid axles in its other models. The Grand Cherokee switched to an independent front suspension with the 2005 redesign, and lost its solid rear axle with the arrival of the current generation, for 2011. Meanwhile, Jeep dropped the solid front axle in the transition from the XJ Cherokee to the Liberty, and then went to a four-wheel independent setup when the Liberty was replaced with the new Cherokee. 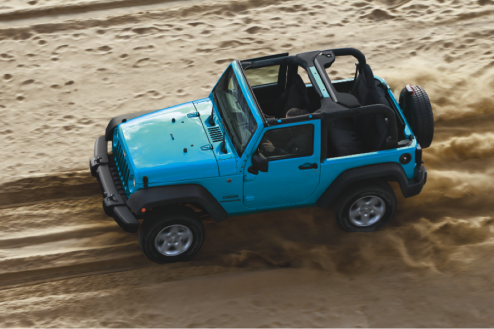 Although the solid axles stay on, weight savings and improved fuel economy are major goals for the next-generation Wrangler—not a bad idea, given the current model’s 17/21 mpg EPA ratings. To that end, the new Jeep will get an aluminum body; a smaller, turbocharged engine in place of the current 3.7-liter V-6; and will upgrade to an eight-speed automatic. The good news on the axle front is tempered, however, by word that the Wrangler will lose its upright, folding windshield in favor of a fixed unit with greater rake. While it’s true that many Jeep owners probably don’t even how that their windshield can be folded down—or wouldn’t know how to do it—the folded-windshield driving experience is one of the things that makes the Wrangler unique. It’s up there with the removable doors and convertible top—both of which had better stick around.